This article appeared in the Vancouver Sun on October 20, 2009 and was written by Derrick Penner. Central 1 chief economist Helmut Pastrick said the housing sales rebound has already surpassed the strength of the recovery from the 1991 recession. Pastrick said the resurgence has combined with diminishing inventories of unsold homes to force prices upward. Prices will eventually hit an “affordability squeeze,” Pastrick said, reaching a ceiling that forces new buyers out of the market. He predicted that, on an annualized basis, the overall average home price in B.C. will climb to a new high of $463,800 by the end of 2009, erasing recession-era losses, before advancing to $497,800 in 2010 and $534,800 in 2011. He also forecast that sales through the Multiple Listing Service across the province will climb to 85,500 this year, and 109,000 in 2010. The Central 1 forecast calls for B.C. housing starts, after falling to 14,600 units this year from 34,321 in 2008, to recover to 21,400 units in 2010. “If [economic] recovery is weak, or does not come, then prices could potentially stop rising and back off somewhat,” Pastrick said. Carol Frketich, regional economist for Canada Mortgage and Housing Corp., said in an interview the Central 1 forecast is consistent with other forecasts for the B.C. market. Frketich said forecasters are getting a very strong signal from housing resale activity that points to an overall pickup in housing. Cameron Muir, chief economist for the B.C. Real Estate Association, however, maintained a more conservative outlook for home-price growth, given that the market is up against a slow economic recovery. 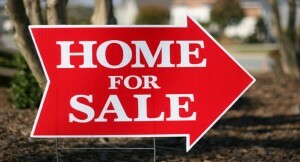 “My expectation is that home prices will grow very modestly in 2010,” Muir said. Muir said much of the buying activity in the market is the result of demand that built up during last fall’s market collapse.